Traditional agriculture companies have applied for ages the same tools and processes that have become antiquated these days. Most of the organizations that work on the farming sector have realized the great potential that cutting edge technologies have to ease their daily works, reduce losses or improve the yield quantity and also product quality. Wireless sensor networks have opened a wide range in terms of possibilities for farmers and agricultural management organizations. Getting real-time information from different water, soil or air parameters of any field allows taking smart and strategic decisions to save resources and optimize yields. 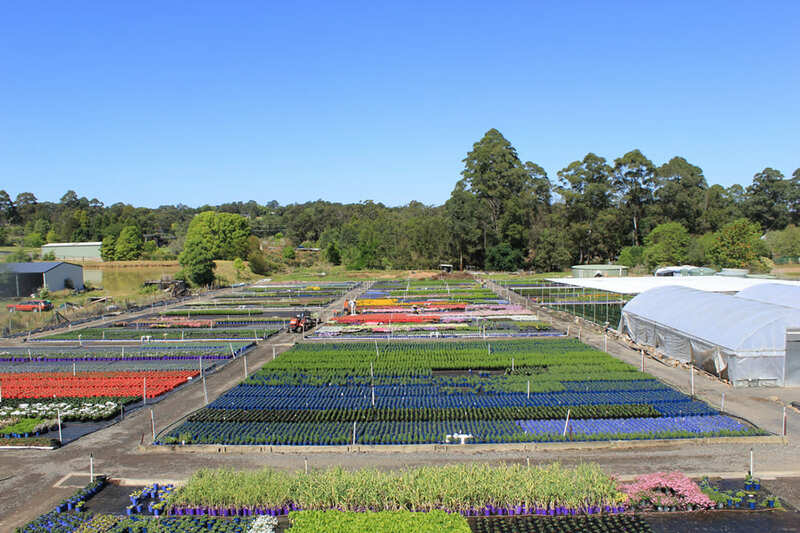 Agnov8, founded in 2015, is a young Australian company with its founder working for over 10 years developing software designed for managing wholesale plant nurseries. The company launched to assist farm managers and growers adopting new technology to support sustainable IoT projects. 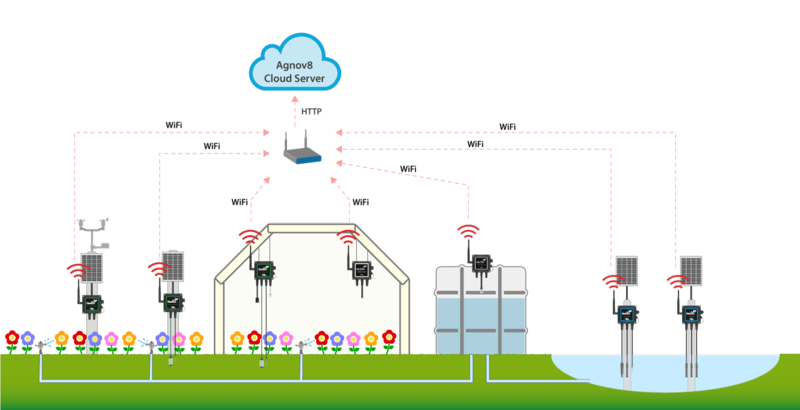 Agnov8 has trusted in Libelium technology to develop several wireless sensor networks to control crops conditions and improve yields. 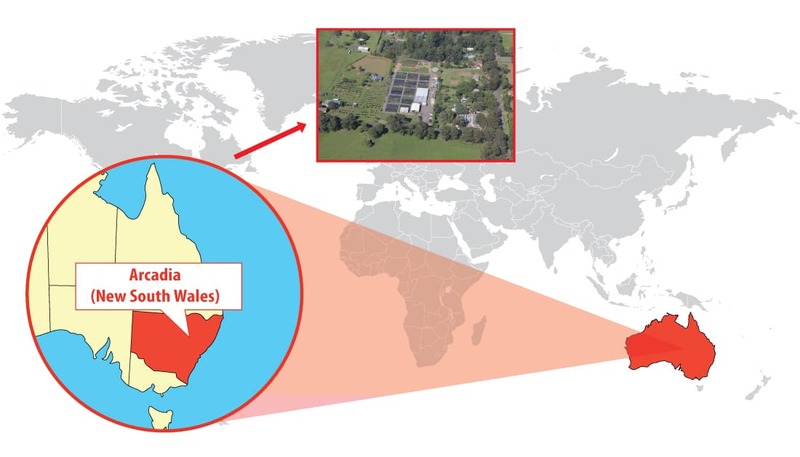 The company has deployed a large environmental sustainability project of Cameron’s Nursery wholesale plant grower located in Arcadia, New South Wales, Australia. 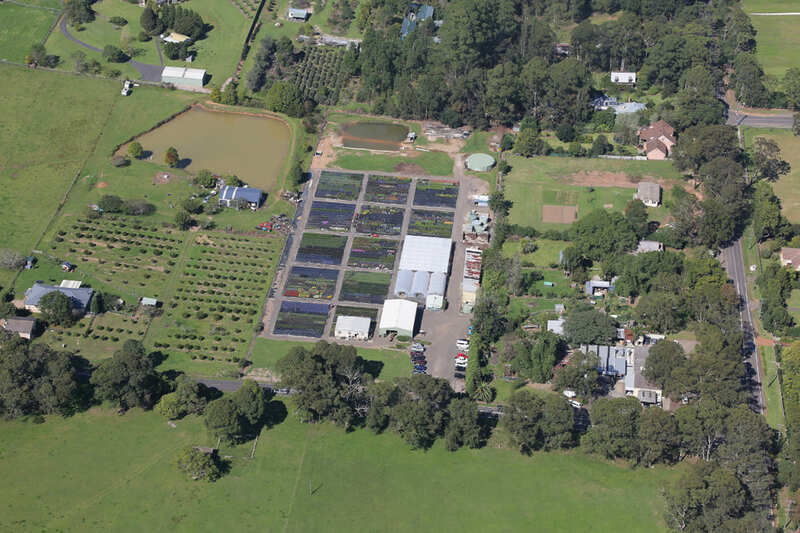 In fact, Cameron’s Nursery has won 13 awards, including the United Nations Association of Australia award for ‘excellence in sustainable water management‘ in 2013 and more recently the Nursery Industry Environment Award in 2015, 2016 and 2017. Agnov8 has won the National Industry Innovation Award for the environmental sensors awarded by the Nursery & Garden Industry Australia in 2016. Waspmote Plug & Sense! 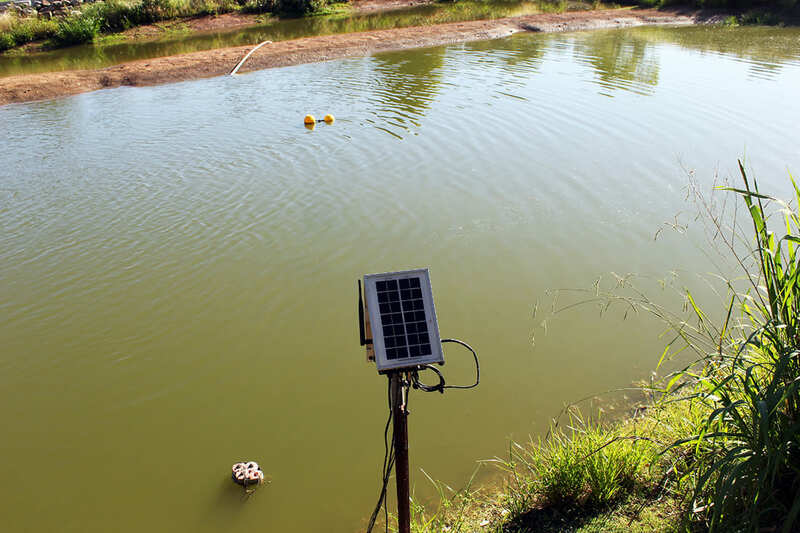 Smart Water devices deployed in the main dam and recycling pit allow to monitor water temperature, pH, electrical conductivity (EC), Oxidation reduction potential (ORP) and Dissolved Oxygen (DO). Both collect water run off from across the production nursery during natural precipitation and water irrigation cycles. Waspmote Plug & Sense! 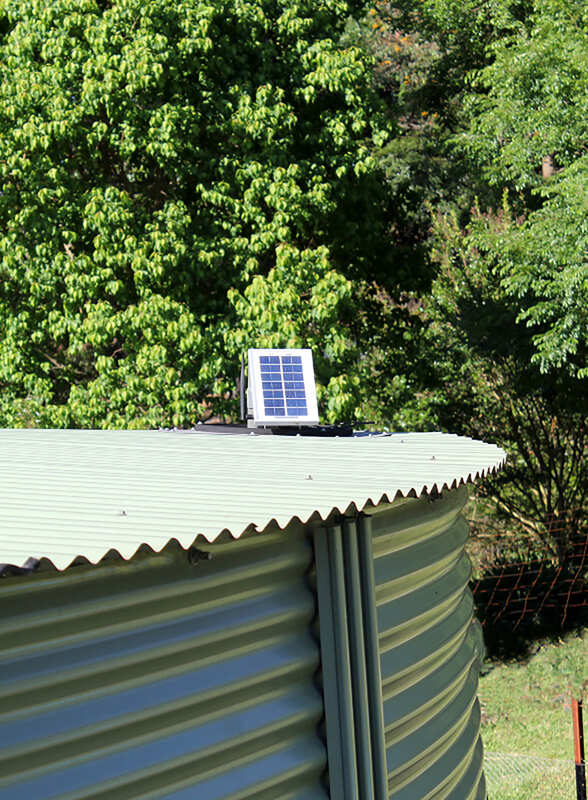 Smart Metering to control water irrigation tank volume with an ultrasound sensor to monitor the volume of water in storage. Waspmote Plug & Sense! Smart Agriculture PRO mounted in a greenhouse provides information about soil temperature, soil moisture, leaf wetness, air temperature and humidity. Waspmote Plug & Sense! Smart Agriculture are installed outdoors. One, with the anemometer + wind vane + pluviometer sensor, monitors wind speed, gusts, direction and amount of rain. Another, monitors soil temperature and soil moisture. Waspmote Plug & Sense! Ambient Control also present in the greenhouse, measures luminosity. Ability to support standard radio and (secure) communications protocols. Non-intrusive installation and deployment of the node on site. All sensor nodes connect through a meshed wifi network, using WPA2 authentication. Data is sent to the Cloud in intervals that vary from 5 to 15 minutes. The nodes use HTTP to communicate with an on-site gateway. The gateway in turn communicates securely, using TLS1.2, with Agnov8’s cloud based SaaS platform. Agnov8’s multi-tenant SaaS is hosted on AWS Cloud Platform. Through the platform any user can access to each sensor module to review sensor measurement data based on their locations.The raw data captured by the sensors can be downloaded for business intelligence or other research purposes. The platform is being upgraded with new features to notify events by email or SMS to alarm customers. 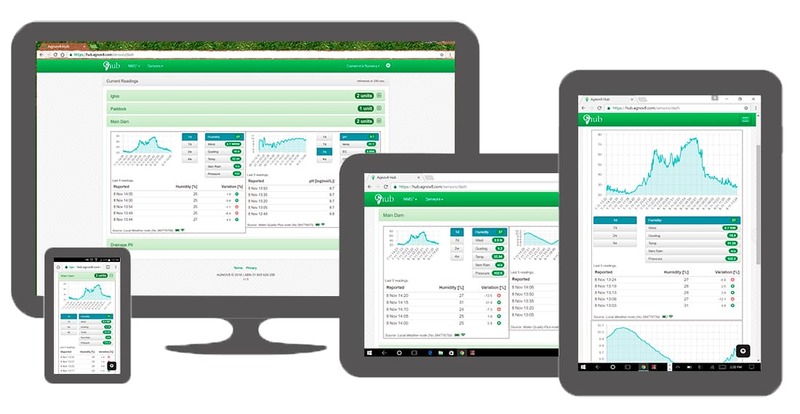 Luuk Honings, Agnov8 CTO, states that “Libelium’s wide product range combined with our easy to use visualization suite, enables our customers to monitor and optimize their growing environments. Increasing production volume and overall product quality improves our customer’s bottom line”. Reducing human error by taking scheduled water quality readings (pH, EC, ORP, DO) of several water bodies (drainage pit, dam and water tank). Monitoring these parameters around the production nursery will assist with the reporting requirements for Nursery Industry bodies. Defining how crop yields could be improved and protected by measuring additional environmental parameters, both indoors and outdoors, and providing visibility of key environmental parameters. Choosing a technology that would be an affordable investment, with low operational cost, energy use and maintenance, specially calibration, and non-intrusive to the production nursery and its landscape. The results have been very positive impacting in different processes. The project has greatly minimized human error such as manual water quality and storage readings that have been completely replaced by automated readings from Waspmote Plug & Sense! Sensor Platforms. The project has also greatly improved reliability of the readings by taking more frequent ones. Instead of once a week, readings are now taken every 15 minutes providing valuable insight into daily, weekly and monthly water quality trends. The wireless sensor network development has improved overall crop yields; through providing visibility of indoor and outdoor growing parameters like temperature, luminosity and humidity. Cameron’s Nursery is now able to immediately intervene at early growing stages of their crop. This is the time when some of these measured parameters can have a severe impact on the growth of its young crop. This IoT project to control every parameter that affect crops growth cycle in the nursery has enabled to take any decision based on real facts. Every process has been improved and also the daily work of each farmer. Another welcome outcome of the project is that it has greatly reduced the potential of any adverse litigation, which affects the business as a whole. 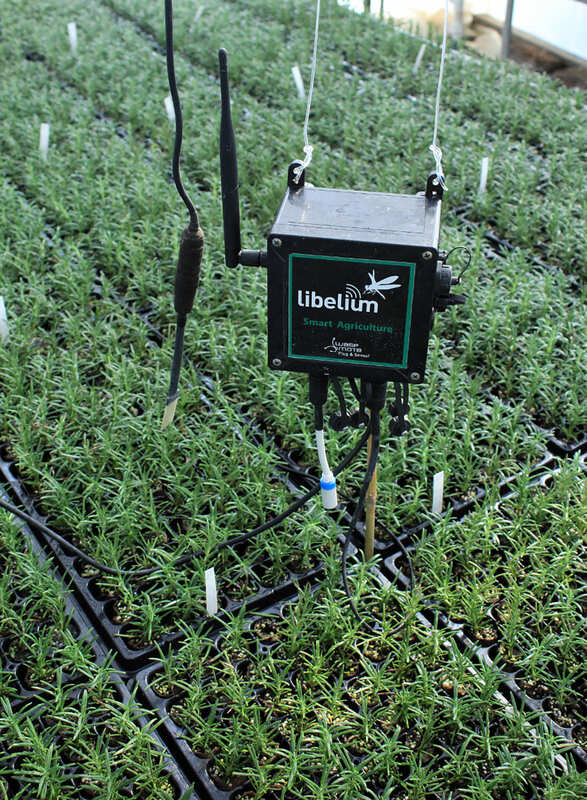 “Agnov8 with Libelium technology have enabled us to have insight into fluctuations with real-time evidence in water and greenhouse monitoring. This has empowered our staff to react to specific events ensuring crops health and reducing losses. We can see exactly what is occurring on farm whether we are on or off site”, concludes Sonja Cameron, Cameron’s Nursery director.